Photo by John Gastaldo/Reuters as included in the PBS report on Dec 5, 2017. 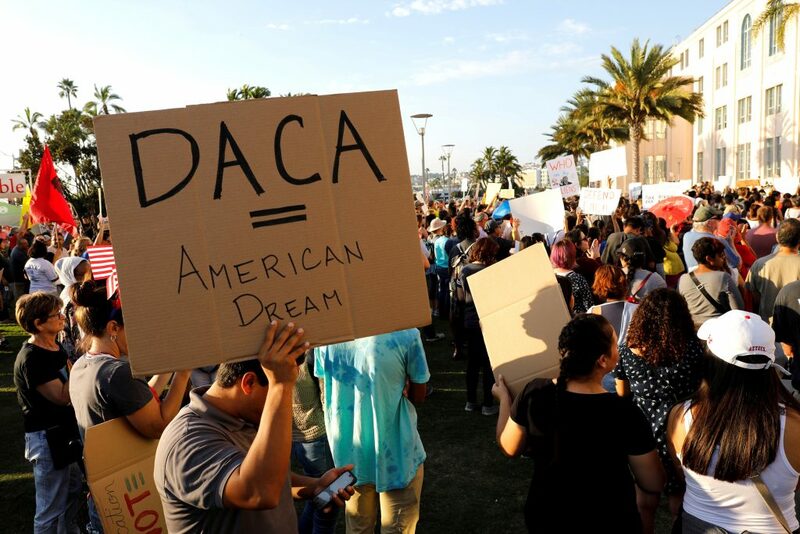 The status of recipients of the Deferred Action for Childhood Arrivals program — commonly known as Dreamers — likely will remain in limbo until 2018, as members of Congress spar over Immigration reform and a potential government shutdown. “Top Democratic lawmakers dismissed Tuesday a compromise bill offered by Iowa Republican Sen. Chuck Grassley that would give protections to younger illegal immigrants in exchange for long-term immigration reform,” reported the right-leaning Daily Caller in a Dec. 5 update. “Grassley’s so-called SECURE Act would implement several policies long favored by conservative immigration reformers, most importantly the mandatory use of e-Verify and limits on family-based migration. 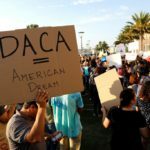 In return, the law would grant recipients of the now-cancelled Deferred Action for Childhood Arrivals (DACA) program relief from deportation and work authorization for three years.” Democrats call the bill’s conservative provisions non-starters. Based on the tenor of talks in Congress, however, no quick solutions are expected for the court backlog. Negotiations over immigration reform are being tied to funding of the federal government, prompting some to predict a delay in dealing with DACA. Discussing immigration-reform negotiations, Senate Majority Whip John Cornyn told reporters, “I hope our colleagues on the other side of the aisle will take our word for it as demonstrated by our good faith in making an offer to them that we do want to resolve this, but it’s not going to be before the end of this year,” according to CNN. To avert a government shutdown, the House and the Senate voted Thursday for a short-term spending bill “to keep the federal government running for another two weeks,” CNN reported.